My blog is kind of my accidental vision board. Due to Allah's will, I end up meeting some of the people I have written about despite never imagining that I'd someday meet them. 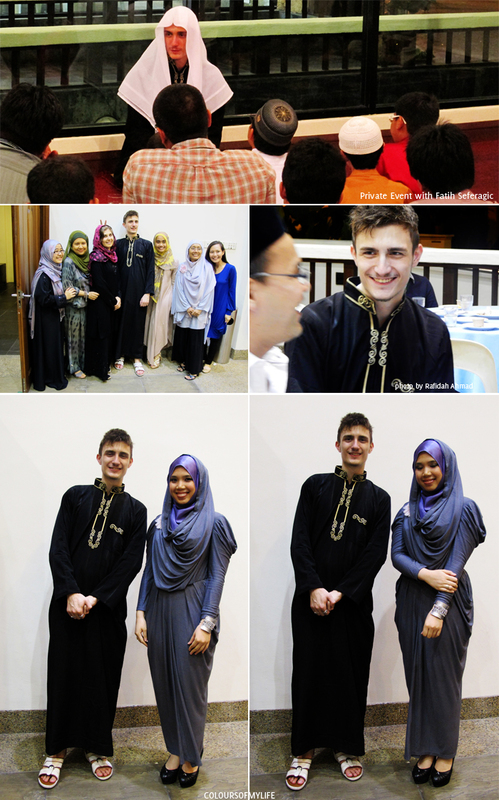 When I blogged about Fatih Seferagić last year it never crossed my mind that I'd eventually meet the 18 year old hafiz. When I think of a hafiz, for some reason I think of someone who's the total opposite of Brother Fatih i.e. strict, serious and older. (Yeah, we should never stereotype!) One might say he is quite the YouTube sensation but not for anything frivolous. He's well-known for his Qur'an recitation and many young girls would also say, for his youthful good looks too (can I get a mashaAllah?). 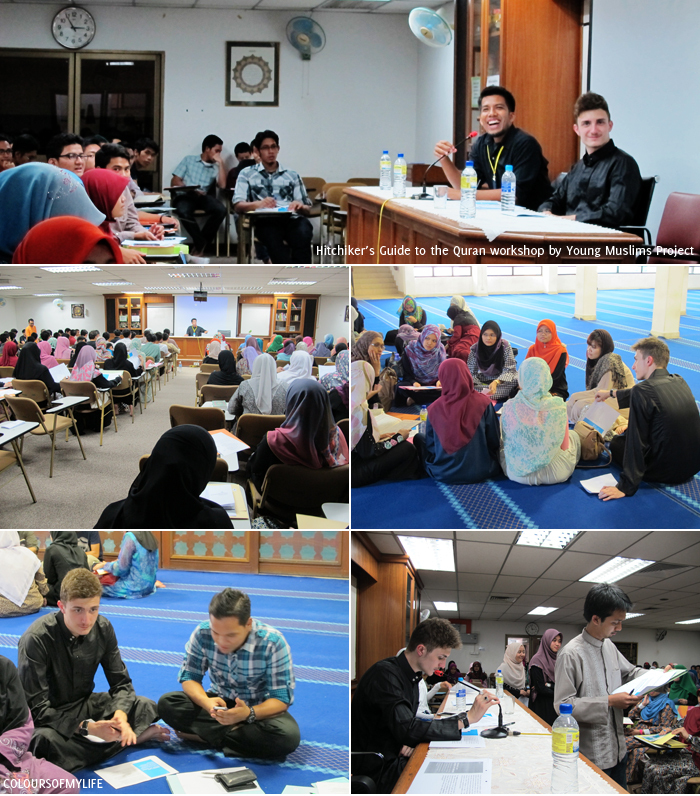 Thanks to Muslim Professionals Forum, Brother Fatih flew all the way from Houston, Texas and spent almost 3 weeks in Kuala Lumpur recently. During his stay he had a very busy schedule which included television interviews, the Being ME conference, The Hitchiker's Guide to the Qur'an by Young Muslims Project, Ramadan Workshop for Children and Teenagers, respectively, by Muslims Professionals Forum and his own private event, just to name a few. I tried to take a nice picture with him but I guess it just wasn't meant to be... either one of us had our eyes closed! Fatih: Aww, are you fishing for compliments? Me: *LOL* Umm, no. I was just trying to explain... nevermind. Fatih is funny like that and I like that he's very 'real'. He declared that he's not a scholar and doesn't pretend to be as 'perfect' as some might think he is, and I think that makes him a person a lot of young people can relate to. He's great with children, the youth and of course.... the girls. I'm happy that young Muslims have a role model they can relate to and a part of me is relieved that young Muslim girls have a better male figure to admire in comparison to some celebrities out there *cough* Justin Bieber *cough*. It's great to learn from older scholars but sometimes there's a disconnect because of the age gap. I think Fatih is an inspiration to people of all ages especially after listening to his life story. Anyway, I recorded a few amateur video clips from the workshops we organised and compiled them in this YouTube playlist: Fatih Seferagić, KL 2013. Personally, I thought his response to a question about music was thought-provoking. I love music, not as much as before, but I can honestly and regretfully say that I listen to music a lot more than I listen to the Qur'an. The only time I try my best to refrain from music is during Ramadan. Brother Fatih's answer made me ask myself: Do I love music or the Qur'an more? If I claim to love the Qur'an more does it reflect in my actions? We need more young Muslims to put themselves out there and help other young Muslims to maintain their identity in a challenging world. You don't have to be a perfectly practicing Muslim to do this. Just be someone who's sincerely trying to do good in this world, for Allah (swt) and the Ummah, and inshaAllah (God willing) God will guide you along the way. I saw this and was like that's awesome! He happens to be coming to my community this coming weekend to lead taraweeh and I'm excited!! he is quite a looker, I must admit. And you're right, it's wonderful that he has this vibrant energy so that youngsters have someone to look up to and also relate to! 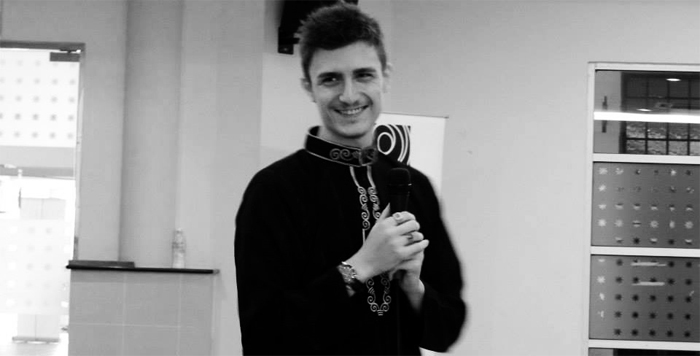 Two days ago I met Fatih Seferagic in a mosque in Bali and we did shalat Maghrib together, I was very happy to listen to the recitation of Qur'an that he read, the Qur'an is the best medicine for me ! !